From Call Centres through New Business First Call to Negotiation – communicating effectively over the phone brings a lot of challenges. Therefore, whole teams and managers focus on memorising all details of their offer and then… shoot it with a rifle. This is a typical scenario when trainers of effective communication and sales from DM2 Agency start to work with the client. Lack of cues from body language and facial expression should not be excuses for unsuccessful communication over the phone. Maintain a good posture and an open chest – it will help you to be more relaxed. Tension in your body is translated into your voice. A valuable tip from Ralph Lightman, DM2 Agency executive director: stand up and walk during the conversation; it will give you more energy, even though the other person cannot see you, but she/he can hear it. Smiling from the beginning to the end – it produces the best sounding voice and gives a better impression. 100% guarantee. Maintain a lower pitch – it is a special advice not only for women! It will help you keep control over stress or anger. And, more important, it will create the impression that you are managing the situation, that you are confident. Speak more slowly – it will give the other person a chance to process what you are saying without facial or body expressions. And because… move directly to the point 5. 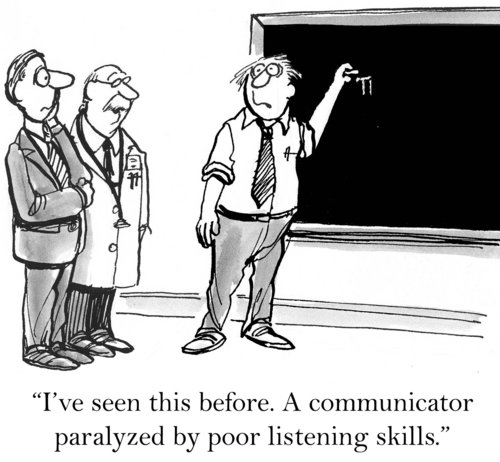 Always listen to the other side – listening will give you a straight pathway to your interlocutor’s values and beliefs. And knowing them and using in a proper way is utterly important to be effective not only over the phone. Finally, learn from celebrities like broadcaster Sir Terry Wogan and Baroness Betty Boothroyd. The former, visualises his ‘one listener’ and then directs his voice at this person while presenting a radio show. 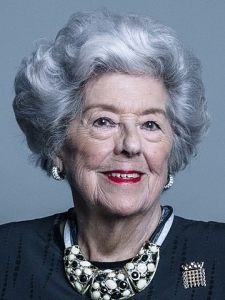 The latter one, the first female speaker of the House of Commons, consciously keeps the pitch of her voice low so she could be listened regardfully by others.